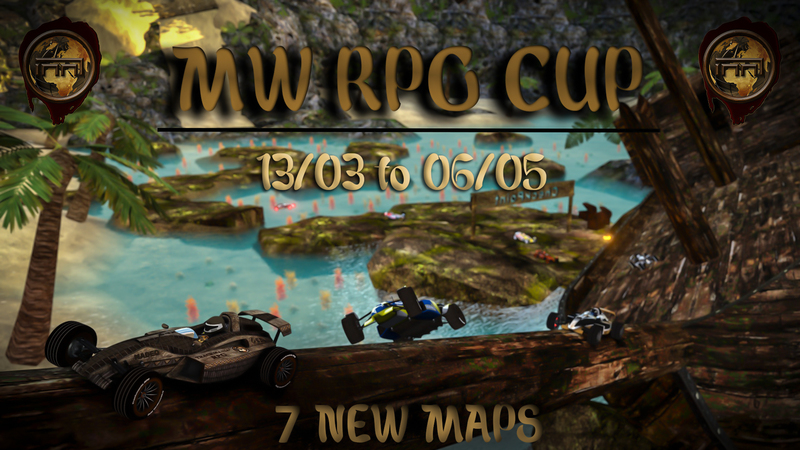 I am happy to finally present the official post of the incoming « Milkyway RPG Cup ». I know i already made a post before about it but i prefer create a new one that everything is clear for everyone. It should be 8 weeks long, so the semi-final and the final should take place on Saturday 6th may (be sure you are free this date !). Each map will get hunted one week long. The 3 first records at the end of each map will be qualified for the semi-final at the end of the cup (Semi-final final should be played by 21 players). Of course, players already qualified doesn't count anymore in next maps qualifications. The last sunday, the semi final takes place on 3 maps of the mappack. It works in normal cup format. Half of qualified players will be eliminated at the end. Follow the final (10 players) in the same format than the semi-final but with finalist mode, on the 4 last maps. Last edited by Chocolleight on 23.03.2017, 19:51, edited 6 times in total. Could you send me the soundtracks which are played on the server?